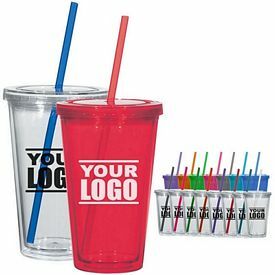 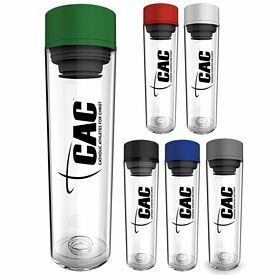 Promotional tumblers are gaining popularity and experiencing increased sales due to their quality offerings and attractive looks. 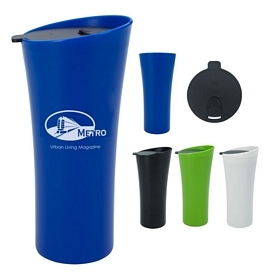 Numerous amounts of people use strategies for their business marketing. 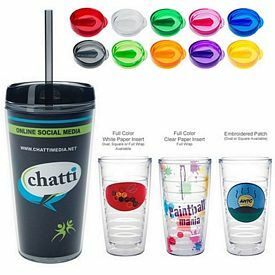 Finding the cost-effective, yet highly efficient method of advertising, is the key. 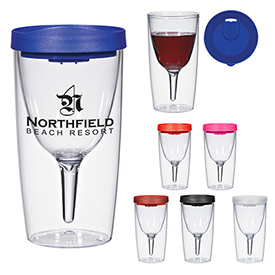 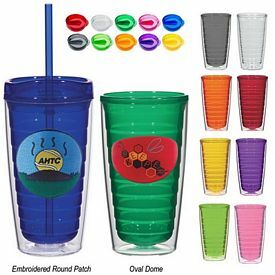 Custom tumblers can bring you the desired results, within a quick time frame, drawing the attention of the target group of customers or clients for your business through our amazing and exclusively manufactured imprinted tumblers. 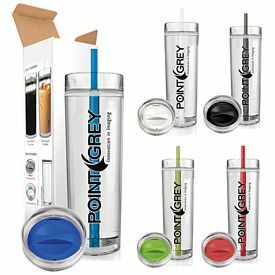 We endorse quality assurance, durability, meticulous logo print solutions and innovative product design on our branded tumblers. 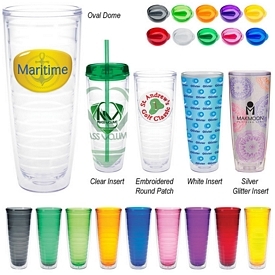 Offering a wide range of customized tumblers is our specialty. 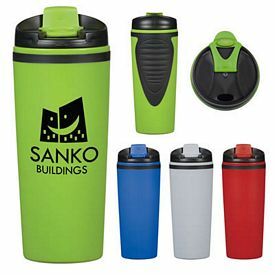 We showcase the finest products in the market with different specifications for getting used in different occasions. 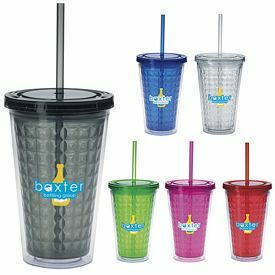 From logoed kids’ tumblers to promotional tumblers for the travelers, a handful of options are available for you to make your choice easier. 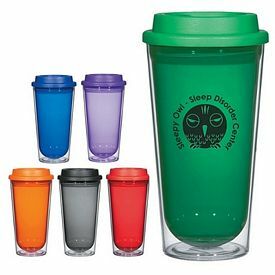 You can enjoy no setup fees with all of our promo tumblers that we offer. 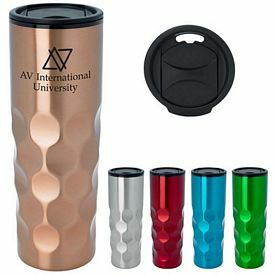 Our customized tumblers are perfect promotions for coffee shops and universities. 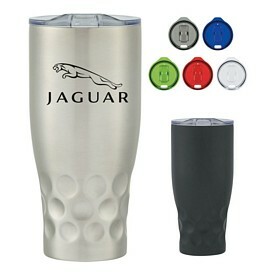 You can imprint your company name on a customized tumbler for a promotion everyone will want to be part of! 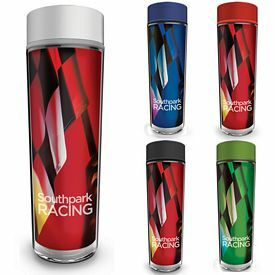 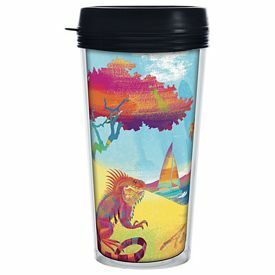 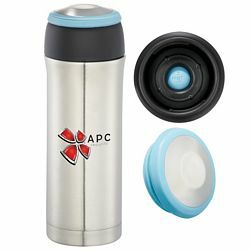 Our Promotional 15 Oz Trek Tumbler has a creative and unique look to offer. 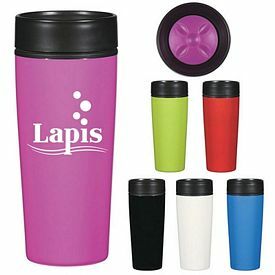 This promotional tumbler is classy and attractive, which is an important attribute for the purposes of your business promotions. 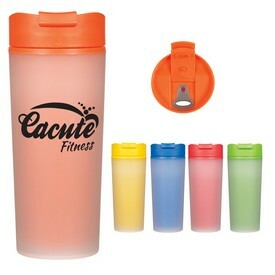 It is molded with matt furnished plastic exterior, and coupled with hard plastic interior. 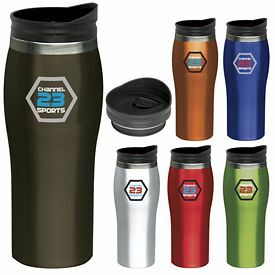 The logo imprint area is large and maximizes visibility for your logo. 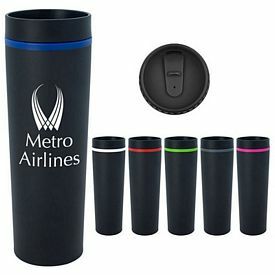 There are many color options, including red, green, black, blue, and orange. 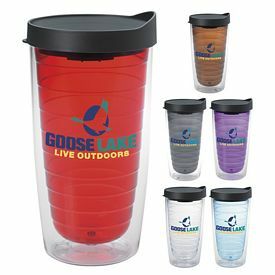 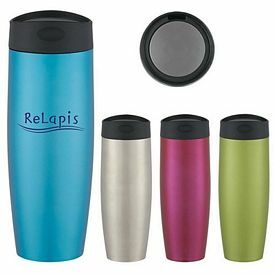 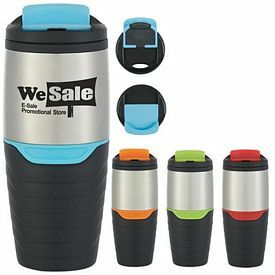 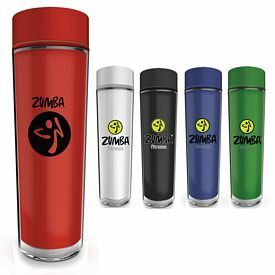 Promotional Tumblers are similar to Travel Mugs, except custom tumblers are characterized by the no handle feature. 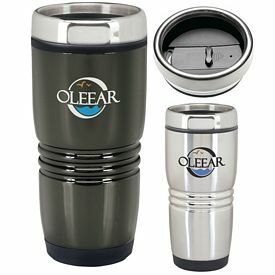 Our promotional 16 Oz Mirage Stainless Tumbler is another option for travelers, especially those who love metallic body tumblers. 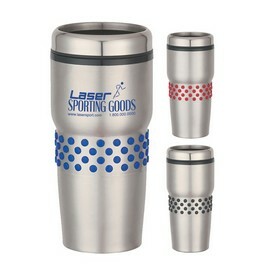 Promotional tumblers are furnished with stainless metallic exterior, with a classic look and innovative sleek design. 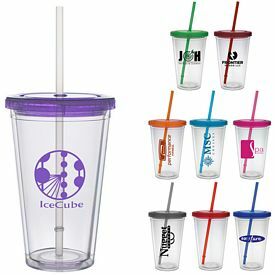 Buyers can use our free 24 hour rush production service with promotional tumblers, along with our featured no setup fees services. 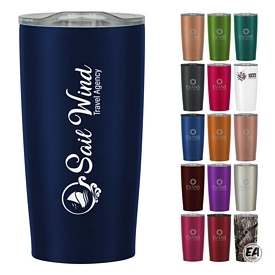 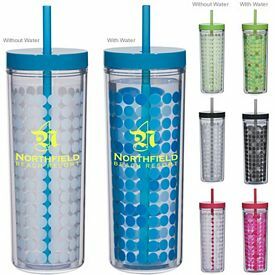 With 3.85"W x 4"H logo imprint area, the branded tumbler offers a few color options. 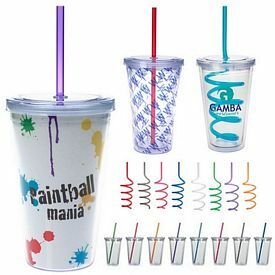 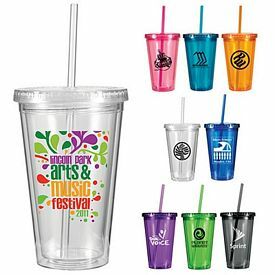 There is no multicolored imprint option available for this promotional tumbler. 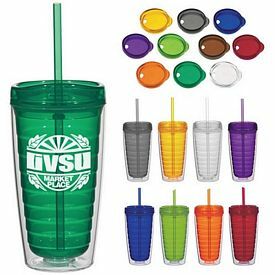 We build our promotional products with precision so they can be interesting in terms of their looks and feels or designs. 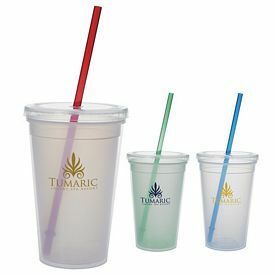 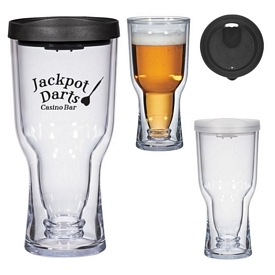 Imprinted tumblers have the ability to draw the attention of many consumers. 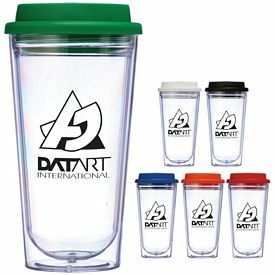 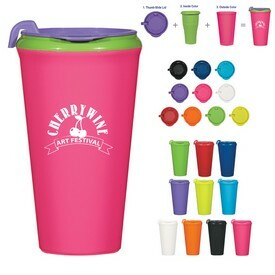 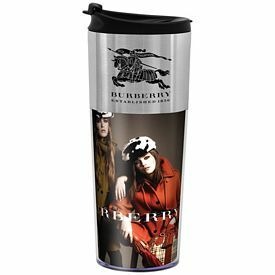 For a beneficial marketing campaign, our innovative, sophisticated, and unique style promotional tumblers are perfectly poised. 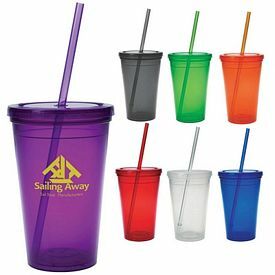 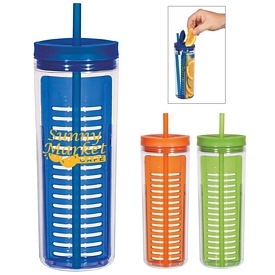 Our Promotional 17 oz Diamond Double Wall Straw Tumbler is perfect for children. 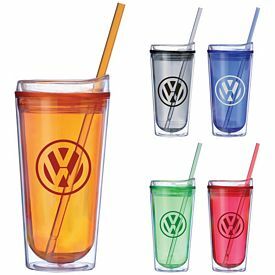 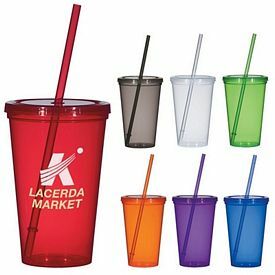 These colorful, and exquisitely manufactured logoed tumblers are very attractive, with their transparent fiber furnished bodies. 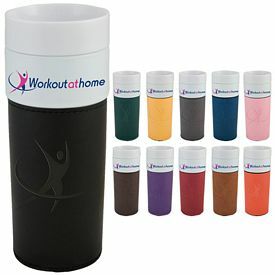 A range of color options are there for the buyers including, red, green, orange, and many more. 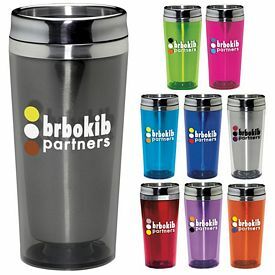 Use these imprinted tumblers for maximized brand recognition for your business.